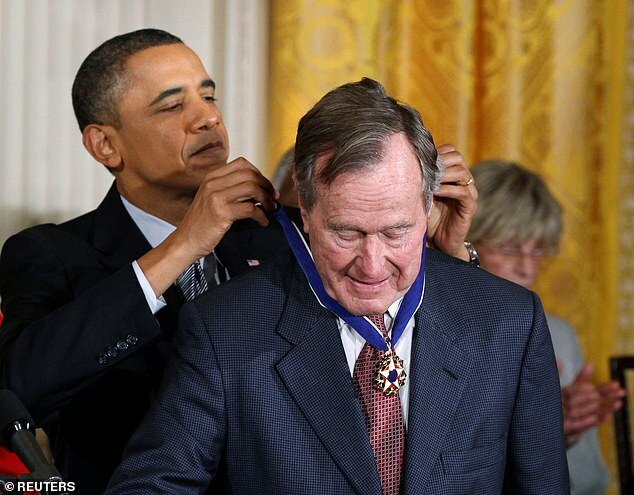 Despite standing on opposite sides of the political lines, George H.W. 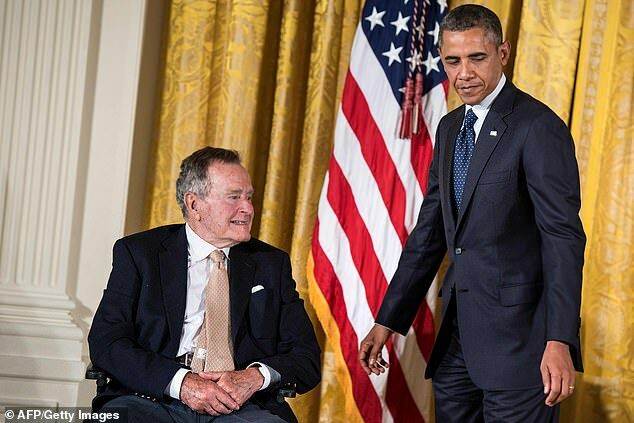 Bush and Barack Obama became close friends forming an unlikely bond before his predecessor’s death. Obama then went on to conduct a statesman’s discussion at a Rice University gala with Bush’s former chief of staff and Secretary of State James Baker. During the discussion, Obama lauded the former president for his diplomacy. 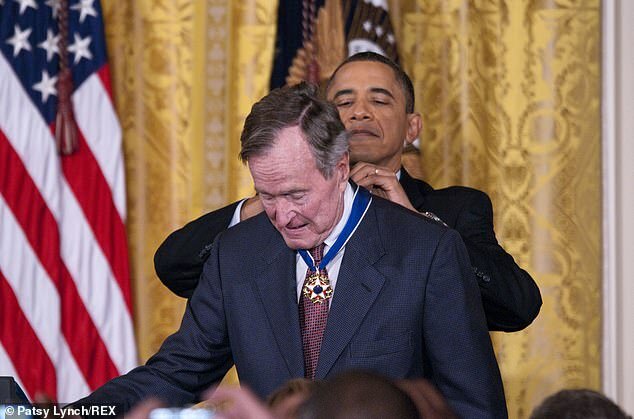 ‘When it comes to foreign policy, the work that President George H.W. 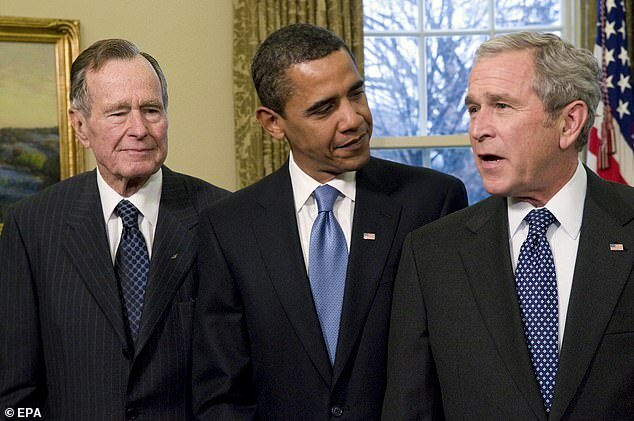 Bush did with Jim (James) at his side was as important and as deft and as effective a set of foreign policy initiatives as we saw in recent years, and deserve enormous credit for navigating the end of the Cold War in a way that could have gone sideways, all kinds of ways,’ Obama said. ‘And nothing happening is good,’ Obama added. 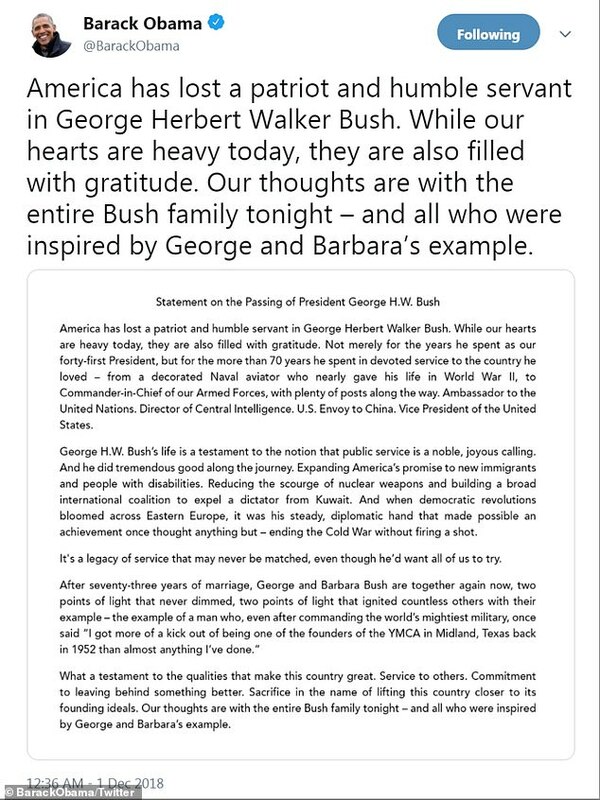 The Bush and Obama relationship has been hinted at in the past when a touching clip of George W Bush and Michelle Obama sharing a piece of candy during Senator John McCain’s memorial service.